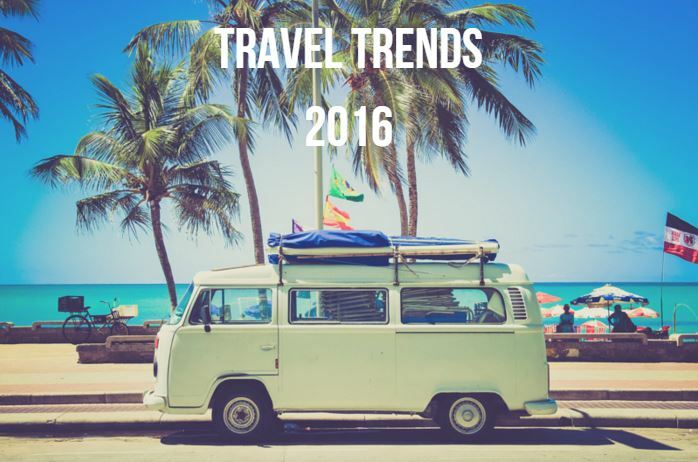 What are the expected travel trends for 2016? As we are reaching the end of 2015, the travel industry is now focused on analysing and determining the type of trends for 2016 and how they can be capitalised. Based on the study conducted by TripBarometer, the following trends will be the main factors that will drive the travel industry in 2016. It is expected in the New Year, 69% of travellers will tend to seek new experiences while holidaying in 2016. One in five will go on a cruise, 17% will give solo travel a go and 15% will try adventure travel for the very first time. Based on the study, it is predicted 1 in 3 travellers will increase their budget for travel in 2016. However, what is interesting is travellers aren’t increasing their budget due to the rising costs, but due to the perception that holidaying delivers health benefits. Forty-nine percent of those planning to spend more say they will do so because they or their family deserve it. Thirty-one percent will up their travel budgets because they feel it is important for their health and well-being. Furthermore, the biggest spenders in 2016 will be Australians. Australian travellers plan on spending over $10,800 for the year, as oppose to the worldwide average spend of $5,600. The question as to why a traveller chooses particular destinations, can vary to a number of reasons. However, 47% of travellers say the culture and people of a specific country were the main factors in their decision making process on which destination to visit. While 21% chose a destination based on a hotel’s special offer or the type of package that was offered at that time. Based on the percentages above, Australian and continental European travellers fall under the 47% category while travellers from Ireland, Canada, Britain, the US and Portugal represent the 21%. As most property managers would know, amenities play a major role in a traveller’s decision on whether or not to book at a certain property. When researching a particular property, travellers will look for air conditioning and Wi-Fi to be among the amenities. A staggering 63% of travellers said air-conditioning is a must when choosing a property to stay and 46% of travellers will look somewhere else if Wi-Fi isn’t available. In 2016, 47% hoteliers are planning to increase room rates. Sixty five percent are increasing costs due to overhead costs, 37% due to renovations and 35% to meet increased demand. Accommodation owners plan to invest more in marketing and advertising as well as drive traffic to their websites, which in return will see hoteliers increase direct bookings by 91%. With the increase of technology, all property managers will agree that online presence is essential in order to succeed. This trend will continue over to 2016 and will remain a high priority for property managers to observe especially when it comes to reviews. A staggering 93% of hoteliers say online travel reviews play a fundamental role in planning for future strategies for their business. Now that we have discussed the expected travel trends for 2016, it has come to conclusion that value is vital for most travellers. In the New Year, consider the trends above and try following and implementing them to help keep growing your business.